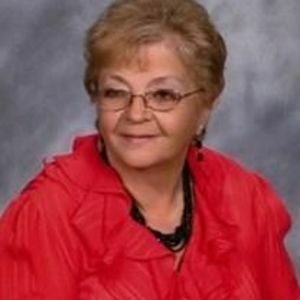 Helga Braun Godwin Turner, 75, of Nashville, formerly of Rocky Mount, went home to the Lord on Thursday, July 23, 2015. She was preceded in death by her parents, Alois and Walburga Seubert Braun, and her first husband Isaac Godwin and husband William Turner. Helga was born in Wurzburg, Germany, March 15, 1940, and had worked in the children’s program at Englewood Methodist Church until her illness. She previously had worked with children in the Nash-Rocky Mount School system. She is survived by her daughter, Donna Duke and her husband Ricky of Nashville; her son Dewayne Godwin and his wife Shawnna of Dell Rapids, SD; her grandchildren, Isaac Godwin, Samuel Godwin, Alanna Hann, Olivia Godwin, Sophia Godwin, Edward Duke, and Dylan Duke; her great-granddaughter Peyton Duke; her sisters, Maria Durr, Edeltraud Reinhard, Anni Cheslovsky, and Margit Schmidt, all of Germany; her brothers, Robert Braun of Canada, Dieter Braun, Klaus Braun, and Alois Braun, all of Germany. Her family will receive relatives and friends at the Johnson Funeral Home, 661 English Road, Rocky Mount, Sunday from 2 to 5 p.m. Funeral services will be held Monday at 1 p.m. in the chapel of Johnson Funeral Home. Burial will follow in Peachtree Cemetery in Spring Hope.